Obaid-Chinoy, who is thirty-nine, wore a black shalwar kameez; her dark hair, streaked with gray, was pinned back. She is a natural reporter, watchful and carefully expressive, with a heightened impulse to gauge her companion’s mood; she has a habit of smiling quickly to offer reassurance during an uneasy silence. She is also unabashedly confident: at a party in Islamabad, I saw her tell a male guest, within moments of meeting him, that she was an Oscar winner. Soon afterwards, she challenged another man, a politician, about his views on China’s business dealings with Pakistan. The politician smiled tightly and congratulated her on having her film about honour killings screened at the Prime Minister’s Office. It was a shame, he added, that it showed the country in such a negative light. Obaid-Chinoy is accustomed to this kind of mixed reaction to her work. Her critics in Pakistan have suggested that her films stoke outrage by confirming the prejudices of Western audiences. Obaid-Chinoy argues that these critics, many of whom are male, are in fact reacting against her own power as a woman, and against the misogyny she is exposing. 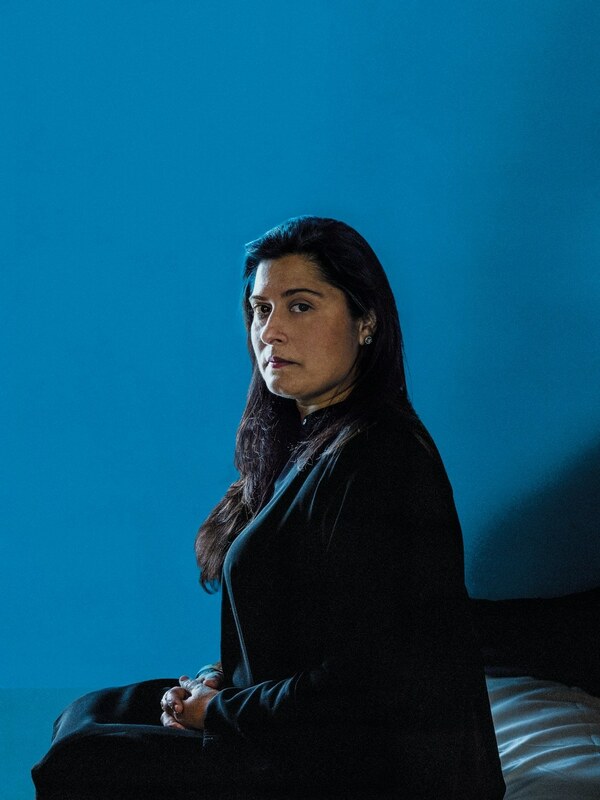 Through her work, Obaid-Chinoy believes, she is combatting men’s power to define women’s lives. Her next major documentary, “A Girl in the River”, released in 2015, investigated the case of a young Punjabi woman whose father shot her in the head and then, with her uncle, dumped her in a river, because she had eloped with a man of whom they did not approve. In the previous three years, there had been more than two thousand honour killings in Pakistan, most of which went unpunished. The woman, whose name was Saba, survived, and began telling her story, talking first to a local news outlet and to the BBC and then to Obaid-Chinoy. “When we got there, she was almost directing us,” Obaid-Chinoy said: “ ‘You should speak to my mother-in-law. At 6pm, my husband is going to come after work. Speak to this doctor—he was my first surgeon.’ She had a lot of strength, and wanted us to get the complete story.” After the attack, Saba’s father and uncle were arrested, and Saba had to decide whether to “forgive” them. (By Pakistani law, honour killings can be absolved if the victim, or her family, forgives the perpetrator.) The film follows Saba as she painfully makes the decision to pardon her relatives, pressured by people all around her: her dad, who is unrepentant; male elders in her neighbourhood, who insist that she has violated the norms of the community; her mother, who offers sympathy but will not defy her husband’s judgment. The honour-killing legislation was one of several laws passed on the issue at the urging of other prominent Pakistani activists; none of the laws have had much effect on people’s practices. “She’s one of the few Pakistani women who have a say in what is often an entirely white and entirely Western conversation,” Rafia Zakaria, a Pakistani writer, said. “But this trickle-down moral change is never going to happen. So the question becomes, Is your goal to end honour killings, or to participate in the existing global conversation on honour killings? The problem is, at the ground level you’re not changing cultural and social attitudes.” Saba later told reporters that her family were deeply “disturbed” by “A Girl in the River”, and perceived it as another blow to their honour. Last year, Saba left the country with her husband and children.